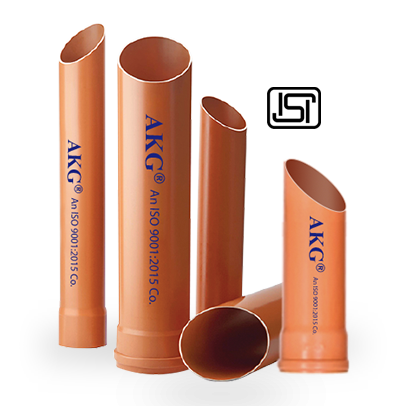 UPVC Underground Drainage Piping Systems | UPVC Pipes Manufacturers - AKG Group. These pipes are made as per IS 15328 standard and are marked with ISI mark. The pipes are available in different stiffness classes as given in the table below. 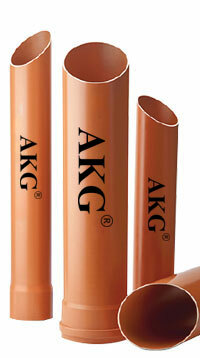 The pipes are available in 3m and 6m lengths. Separate coupler with unique design of rubber rings are available up to 250mm sizes which makes the system absolutely watertight. In case of 315mm solvent weld type coupler is provided. End Connections Elastomeric Sealing Ring & Solvent Joint.